Outdoor weddings are always a favorite to brides and grooms, particularly in Jordan, where the high wedding season starts from spring till the end of summer. Brides and grooms getting married over the summer in the capital Amman, tend to prefer outdoor wedding venues, as the weather at night is normally beautiful. 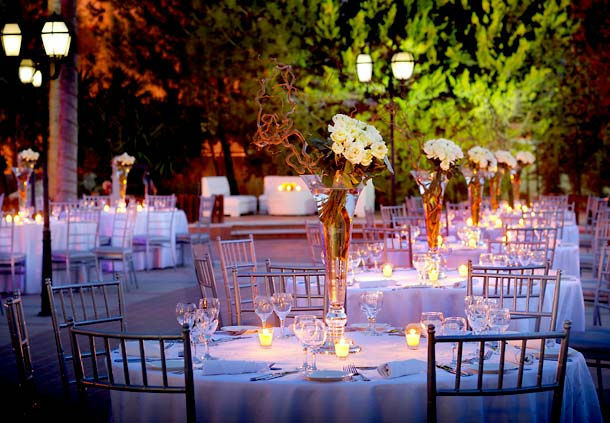 Many hotels in Amman offer beautiful outdoor venues that are perfect for weddings and engagement parties; each wedding venue has it's unique style and feel. It is also easier to plan a wedding at a 5-star hotel which offers the couple professional services. For more Hotels in Amman where you can hold a wedding at, please click on Hotels in Amman. An oasis of modern luxury, this Amman hotel is perched on one of the city’s seven hills in the heart of the diplomatic district. 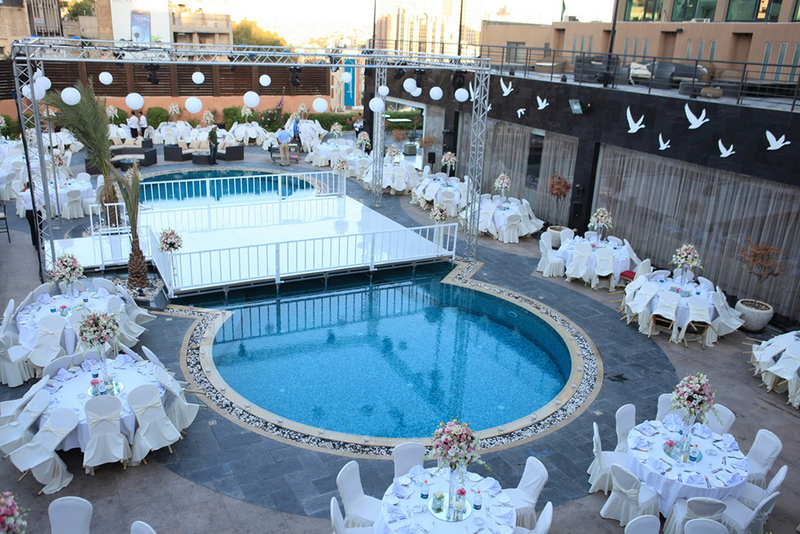 The hotel offers one of the largest outdoor hotel wedding venues in Amman. Have your luxury wedding around the beautiful InterContinental pool, and celebrate your dream wedding surrounded by your loved ones. The Marriott Hotel garden also called the "Summer Garden" is a beautiful outdoor venue for summer weddings in Amman, the wedding venue capacity is around 420 guests. The hotel also offers wedding planning services to help brides and grooms plan their dream wedding. 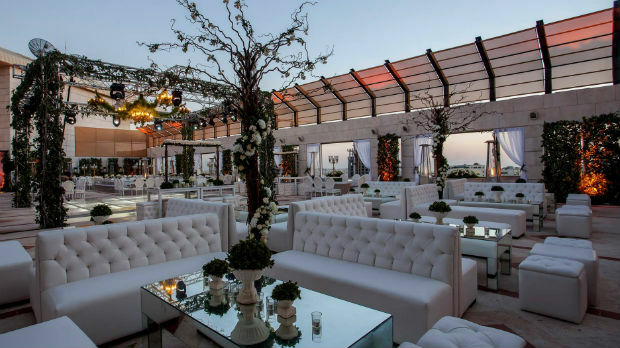 The grand terrace at the Four Seasons Hotel in Amman is an elegant wedding venue, which features granite marble floors and beautiful blooms and plants. On the terrace there is a beautiful water fountain that is serene and romantic. The terrace can seat up to 500 guests, and can have 800 guests for a reception or cocktail party. 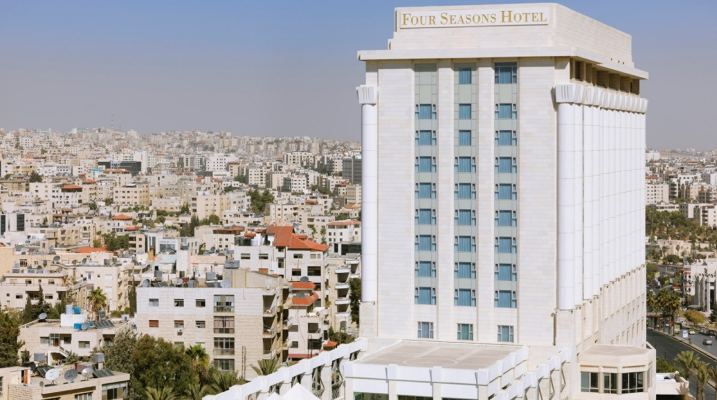 The Sheraton Hotel's terrace offers a spacious place for 300 wedding guests, with a stunning view of Amman. The terrace is located on the 7th floor which makes it a magical place for a summer wedding. 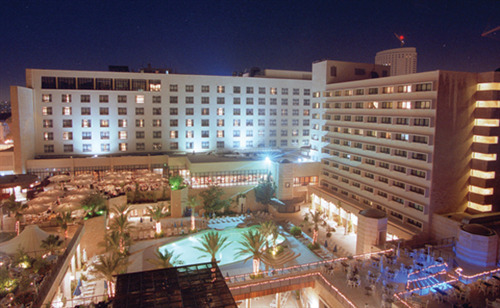 The Landmark Hotel pool area is a great venue for weddings or engagement parties. 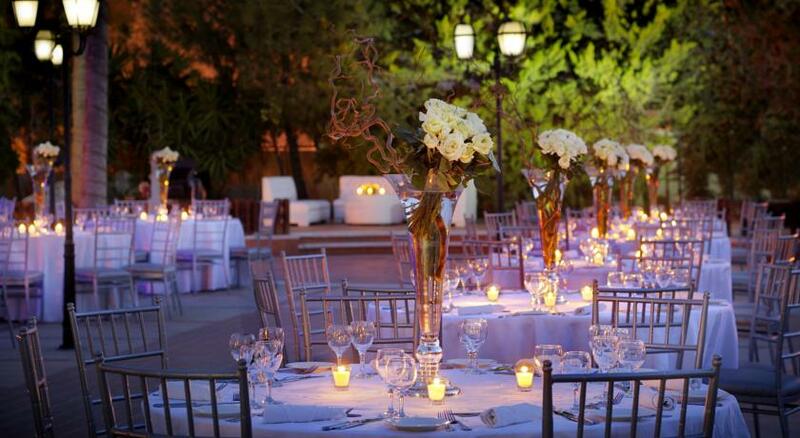 The venue's capacity is between 200-300 guests, who can be seated on elegant round tables.